Thermex builds custom specialty equipment for fleet maintenance, and job site needs. These are typically a build-to-order application that is entirely dependent on your individual needs. The following showcases some of our custom work for our clients. Thermex Engineered Systems is a design build manufacturer of specialty equipment for use in maintenance bays, and in the field. Our customers count on us for custom designs that reflect their individual need and application. 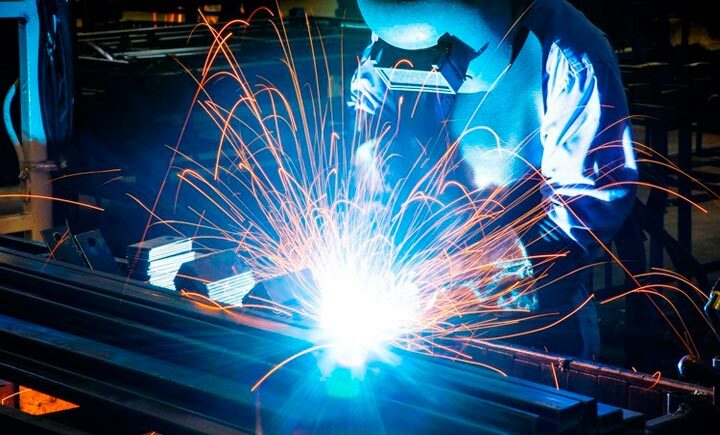 Have a look at some of the custom projects we have built, feel free to contact us if you have a specific need for our design and engineering services for specialty equipment. Thermex PortaWash™ system is a great solution when you need a mobile washing bay for your fleet. The PortaWash™ station can be easily dragged on a skid to your job site to quickly spray down your work trucks, reducing downtime and maintenance. 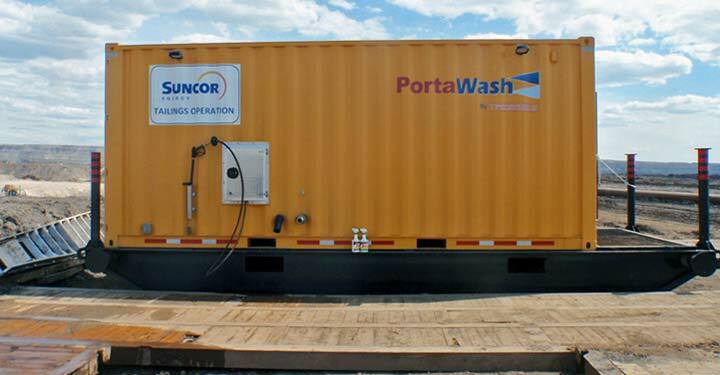 For convenient washing of your heavy equipment on the go, PortaWash™ is an excellent choice. Custom built portable or stationary lube storage and transfer systems. Ideal for mine sites, maintenance shops and remote locations. 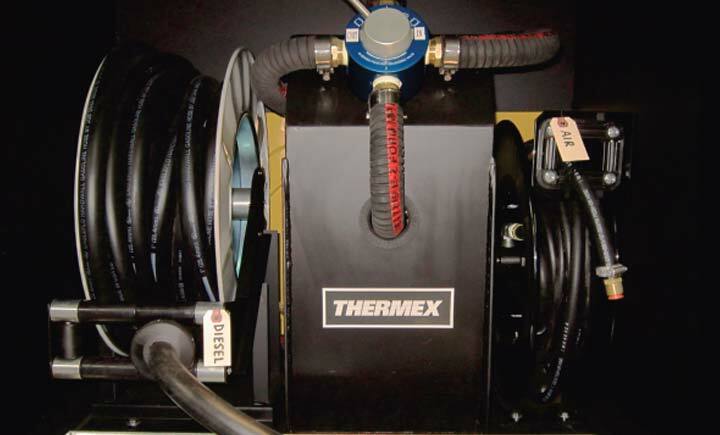 Thermex LubeTransfer systems can be mounted for maintenance bay use, or easily configured as a mobile cart station that can be moved around your shop or used on site. Thermex custom fuel transfer systems help the environment by up-cycling decommissioned equipment fuel tanks. These systems can be used in fleet bays as a temporary fuel storage for draining when performing maintenance, or to quickly transfer fuel from one vehicle to another. Can be mounted to a forklift base, or an optional trailer for easy towing around the job site. Thermex builds custom pump configurations based on your need and application. 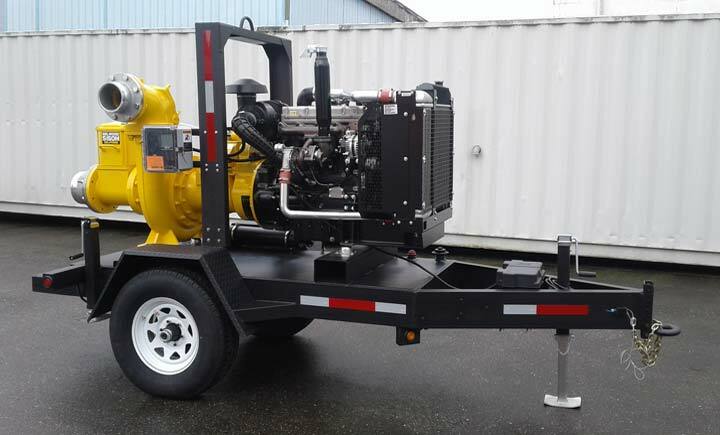 Custom built trailer and skid-mount pump units available. Also available with optional sound enclosures to cut down on noise pollution. Custom built Gen-Set units from 20KW up to 200KW. 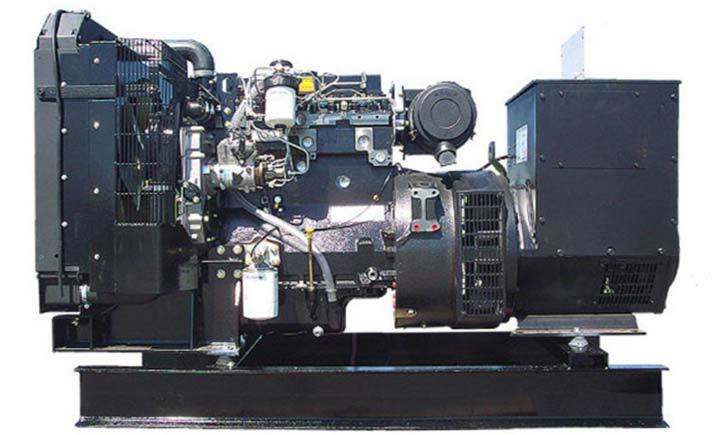 Custom diesel generator systems for specific application or general use in the field. 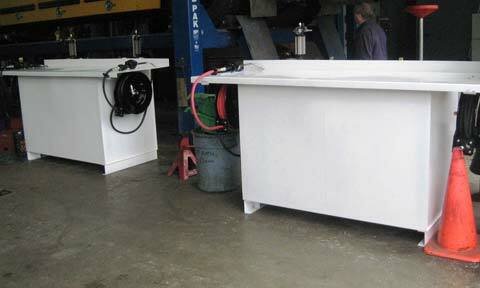 Can be equipped with an oil-field style skid, trailer hitch or sound enclosure for noise reduction.